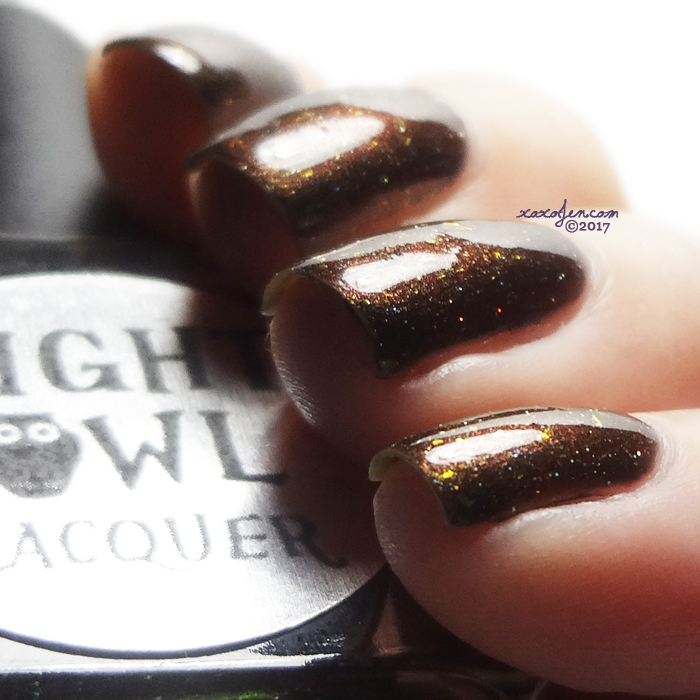 Night Owl Lacquer is releasing a new Gone Camping Trio on Aug 25th at 8 PM MDT. The polishes will be available both as a set and individually. Shown is two coats with topcoat. 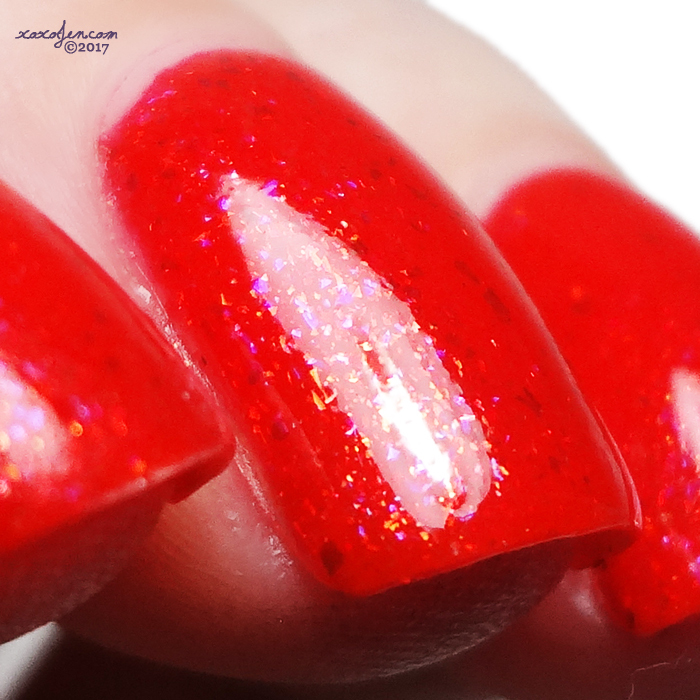 My favorite of the trio - a perfect instant galaxy on the nail. Shown is two coats with topcoat. 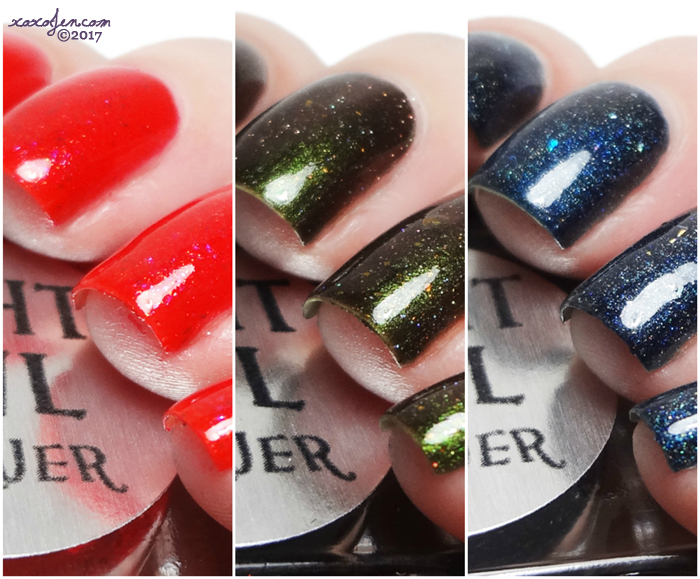 Formula of all three was fantastic, the narrow yet flat brush allowed me to skip clean up on all three manis! I love the elegance of the chunky square bottles and the sort of squared off cap made opening the bottle a breeze. 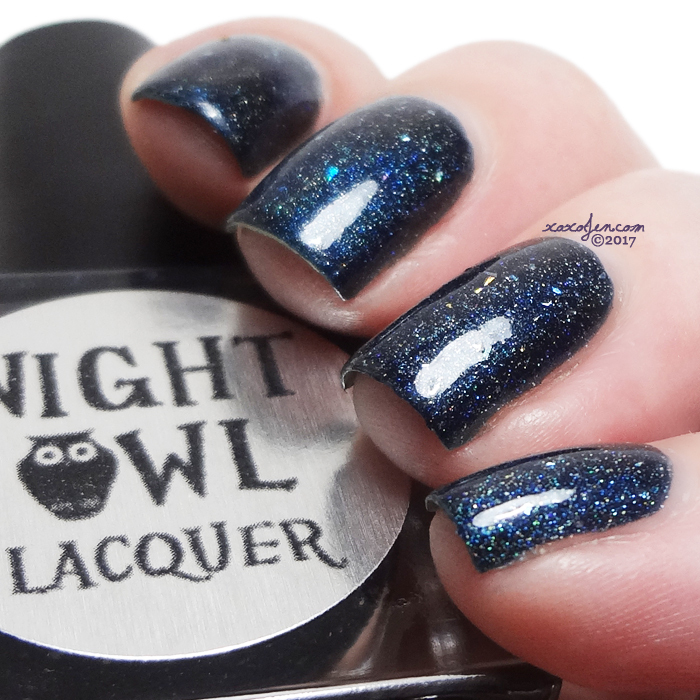 Night Owl Lacquer will also have a polish in the polish pick up pack this month that fits along with this trio. I'll be blogging it this week, so keep your eyes peeled for that one! All three polishes look great.